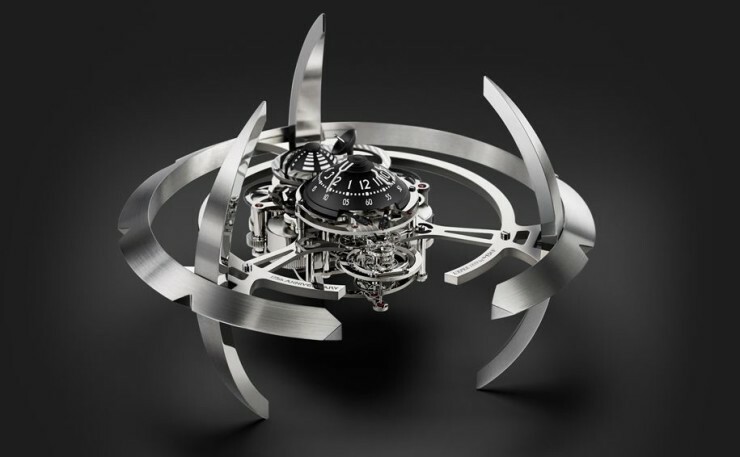 Stunning Desk Clock Is Inspired By Deep Space Nine | OhGizmo! You’re looking at Starfleet Machine, a wonderful looking desk clock made by L’Épée, Switzerland’s last remaining specialized high-end clock manufacturer. 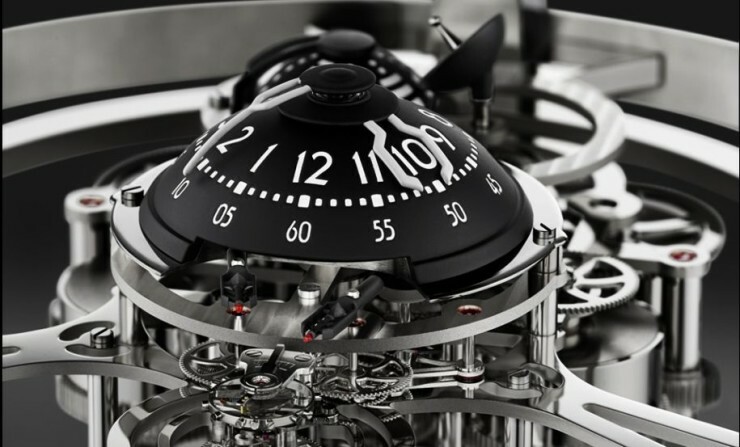 With a design outsourced to MB&F, this clock was created in order to celebrate the company’s 175th anniversary. The prominently featured in-house movement carries a 40 day power reserve, as well as a series of five mainspring barrels. The clock showcases hours and minutes, double retrograde seconds and a power reserve indicator, but only in a way these two creative forces can execute. “About two years ago I went to L’Epée with a gouache image,” explains MB&F founder Maximilian Büsser, who designed the Starfleet Machine with ECAL design graduate Xin Wang. “We basically cut out one of their movements that we found and created a design based on Deep Space Nine around it,” he says. The initial reaction from the craftsmen at L’Epée was of awe and they quickly jumped on the project. 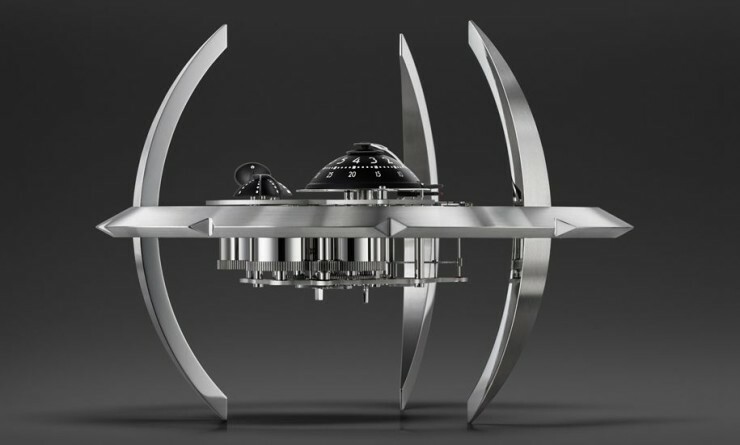 Starfleet Machine will be limited to 175 units and will retail for 28,000 CHF, or roughly $31,725 USD.